Dream Lake at first light. After spending a few days with my family in the Black Hills we went to the Rockies in Colorado. We spent all of our time at the beautiful Rocky Mountain National Park. 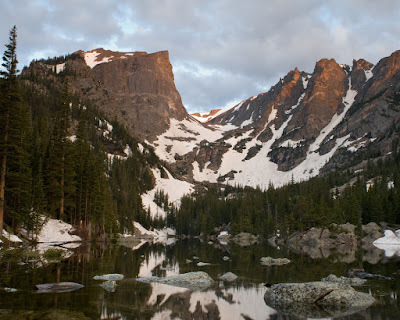 The first morning my brother, Dan and I hiked up to Dream Lake at sunrise. 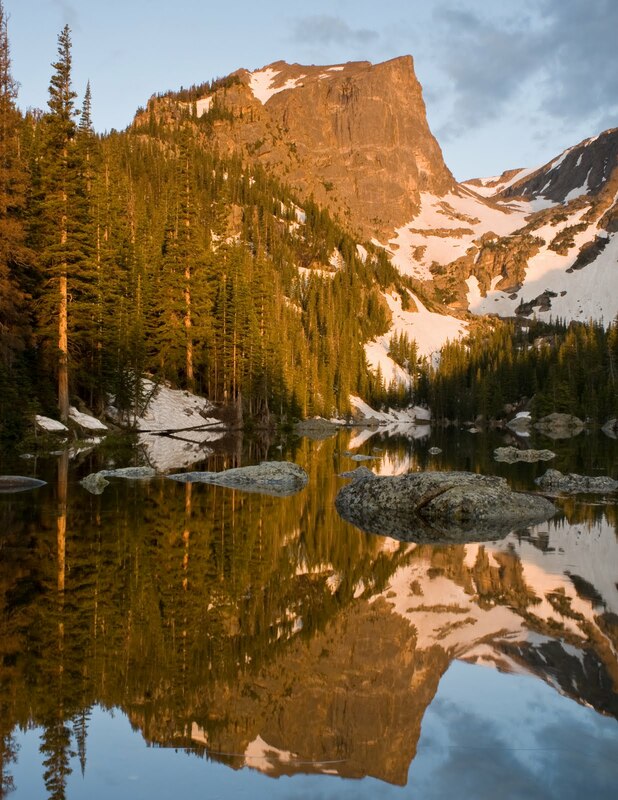 The reflection of the mountains in the lake create a beautiful scene. There are always plenty of birds around as well, including quite a few Clark's Nutcrackers. After spending the morning at Dream Lake we had some time before we were supposed to meet our parents at the Alpine Visitor Center so we headed up the mountain to look for White-tailed Ptarmigan. After driving around for a while I finally decided on where to hike. 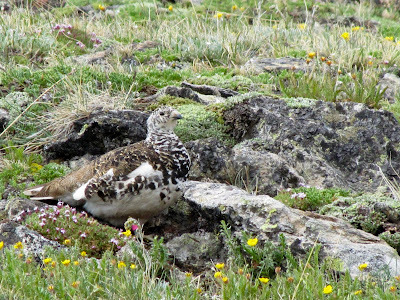 I chose a new spot since I had missed ptarmigans every time I had looked for them in the park. We ran into a couple of other birders on the trail and they informed us that this trail was a historically good spot for them. After about a quarter mile one of the other birders spotted one and we were able to watch it at our leisure. After hiking back and meeting up with my parents we went back so my mom could see one. We were able to relocate one without too much effort and we all had great looks yet again. We spent the next day and a half in the park or in Estes Park (the town right outside the park). We saw plenty of cool birds including a couple of my favorites, American Dipper and Williamson's Sapsucker. And we also saw plenty of mammals including Pika, Yellow-bellied Marmots, Mule Deer, Elk, and several species of squirrels and chipmunks.